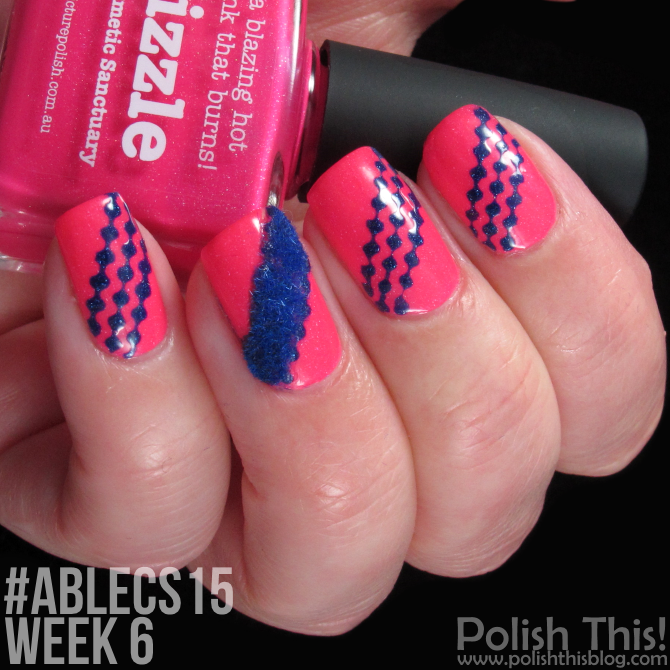 #ablecs15 Week 6: I Thought I'd Never - Polish This! Haha, tosiaankin, karvakynsi. :D Tuli ainakin haasteen teema toteutettua jos ei muuta. ;) Kiitos! Agree totally, love it all except the flocking powder, but it fit the challenge! These two nail colors are indeed gorgeous. Love both colors and finishes. Love that mani that you have made. Great job!!! Thank you so much! I'm really happy to hear you liked this! 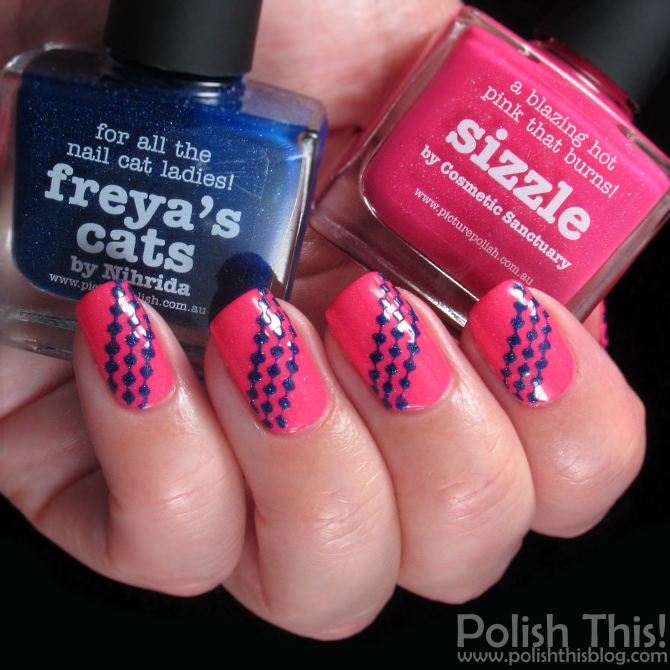 :) Both polishes are truly stunning.